In a new research into the impact of melting ice on global sea level, scientists have found that thinning ice in Antarctica is contributing nearly 10 per cent of sea level rise and Pine Island Glacier is the major source. Using Autosub, an autonomous underwater vehicle, an international team, led by the British Antarctic Survey, has captured ocean and sea floor measurements, which revealed a 300 metre high ridge on the sea floor. 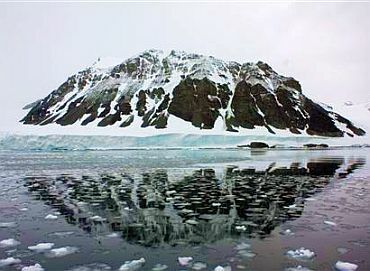 Pine Island Glacier was once grounded on (sitting on top of) this underwater ridge, which slowed its flow into the sea. 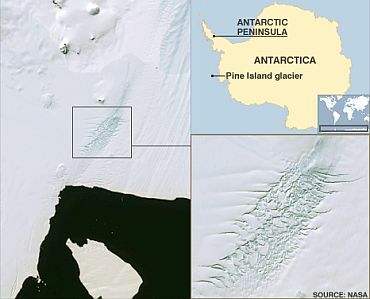 However in recent decades it has thinned and disconnected from the ridge, allowing the glacier to move ice more rapidly from the land into the sea. An outcome of climate change? This also permitted deep warm ocean water to flow over the ridge and into a widening cavity that now extends to an area of 1000 sq km under the ice shelf. 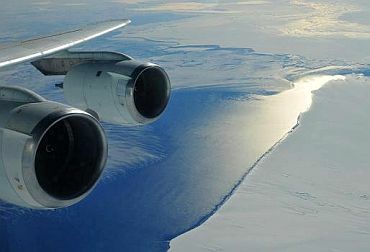 The warm water, trapped under the ice, is causing the bottom of the ice shelf to melt, thus resulting in continuous thinning and acceleration of glacier. 'We do not know what kick-started the initial retreat from the ridge, but we do know that it started some time prior to 1970,' Dr Adrian Jenkins said. 'We now need to use other techniques such as ice core analysis and computer modelling to look much further into the glacier's history in order to understand if what we see now is part of a long term trend of ice sheet contraction. This work is vital for evaluating the risk of potential widespread collapse of West Antarctic glaciers,' he added. Image: The highlighted area shows a dense concentration of crevasses along one edge of the glacier. Large numbers of deep crevasses are a sign that parts of the glacier are moving rapidly. 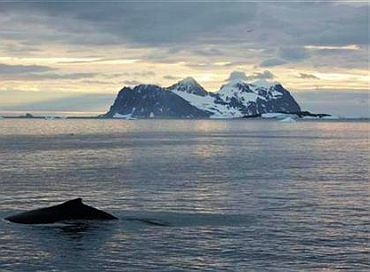 Co-author Stan Jacobs added: "Since our first measurements in the Amundsen Sea, estimates of Antarctica's recent contributions to sea level rise have changed from near-zero to significant and increasing. The findings have been published in the Nature Geoscience journal.